North Korea will allow international observation of the dismantling of its Punggye-ri nuclear test site in May, South Korea’s Presidential Blue House said on Sunday. In comments reportedly conveyed to South Korean President Moon Jae-in by North Korean leader Kim Jong Un during a historic summit between the two on Friday, Seoul was reportedly informed the DPRK planned to dismantle its northern nuclear test ground in May. “To disclose it to the international community in a transparent manner, [Kim] unveiled [the plan] to invite South Korean and U.S. experts and journalists to North Korea,” Senior Secretary to the President for Public Communication Yoon Young-chan said at a special news conference. 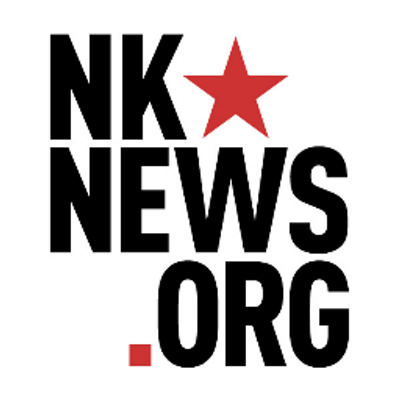 North Korea previously committed to dismantling its “northern nuclear test ground” at the 3rd Plenary Meeting of the 7th Central Committee of the Workers’ Party of Korea (WPK) held on April 21. 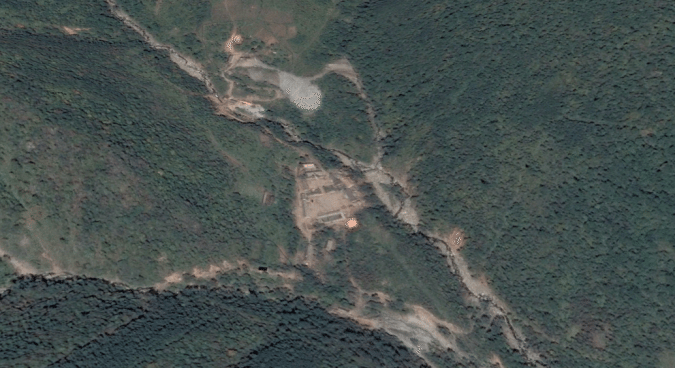 Kim’s admission of two more larger testing facilities at Punggye-ri however, is notable. That meeting also saw Kim Jong Un pledge to discontinue nuclear and ballistic missile tests. Yoon on Sunday said the ROK President “immediately welcomed” Kim’s decision, and the two leaders have agreed to begin discussions on the schedule for the visit of ROK and U.S. experts and journalists. “Chairman Kim’s clarification on the dismantlement of the nuclear testing facilities and disclosure to the external world shows his willingness to engage in the verification process of the North Korean nuclear weapons – which will be discussed in the future – in a preemptive and active manner,” Yoon said. The DPRK leader also reportedly reaffirmed his willingness not to use military force against the U.S. and South Korea under certain conditions. “Chairman Kim also said the U.S. has a constitutional sense of repulsion against North Korea,” Yoon said. “If we meet frequently and build trust with the U.S. and they promise the end of the war and non-aggression, why do we have to live with difficulties possessing nuclear weapons,” Kim was quoted as having said. 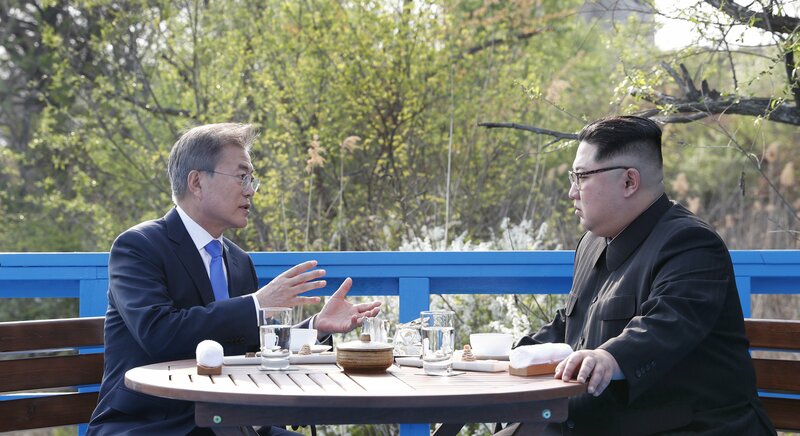 While Kim expressed his concerns over “accidental military conflict and the risk of the expansion of war,” he raised the necessity of taking “effective measures which can institutionally manage and prevent” a conflict on the peninsula. Kim Jong Un also on Friday reportedly said his country will return to Korean Standard Time (KST), bringing the two Koreas into the same time zone. The DPRK adopted so-called Pyongyang time in 2015, at the time arguing that conventional Korean Standard Time was based on the longitude of Japan and thus not suitable for Korea. That decision saw the country change its time to UTC+8.5: a half hour behind South Korea – a move the North Korean leader on Friday said he would reverse. “Let’s unify the time of South and North Korea,” Kim reportedly said. 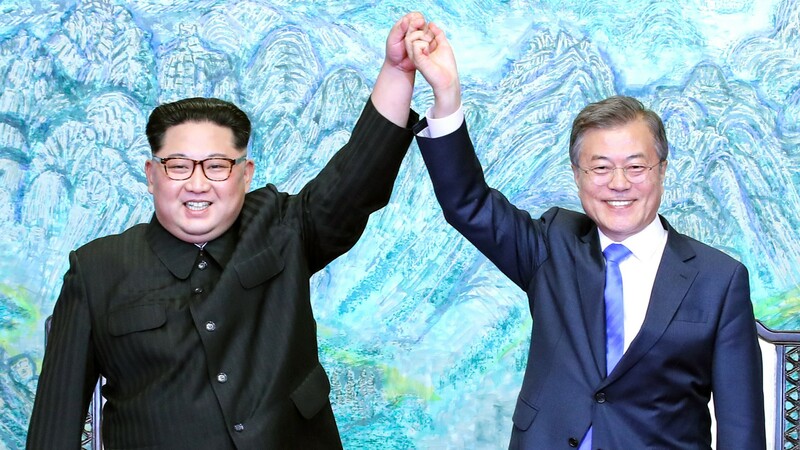 “We believe it means that he will actively engage in the harmony and accord with the international community and shows the determination to remove barriers which can be created in the process of expected exchanges and cooperations between the two Koreas and the North and the U.S.,” Yoon said. Meanwhile, U.S. President Donald Trump held a phone call with ROK President Moon Jae-in on Saturday, at which the President said the U.S. had narrowed down the location for an upcoming summit with Kim Jong Un to two or three locations. The locations for what will be the first meeting between a sitting U.S. President and a North Korean leader – which had been previously slated to take place in late May or early June – has been the topic of heated speculation. Among some locations reportedly under consideration are the DPRK capital of Pyongyang, as well as Singapore and Ulaan Bator, Mongolia. The President later in the day told supporters that he planned to hold a summit with the North Korean leader in “three or four weeks” and that Moon had given him “all the credit” for the successful inter-Korean talks. Subscribe to read the remaining 917 words of this article.